One proposal under consideration is a change of terminology used to describe projects aimed at translating promising research into patient care and treatment . . . Using the term “product development” rather than “commercialization” more accurately describes these efforts. This terminology also conforms to language included in the CPRIT bills (SB 149 and HB 951) currently being considered by the Texas Legislature. Moreover, it is worth noting that in both the legislative bills as well as the CPRIT oversight committee’s proposed changes document, the commercialization arm of CPRIT is almost exclusively associated with the new compliance officer and new compliance-oriented reforms. BioNews Texas is awaiting a further response and clarification from CPRIT concerning the commercialization arm, namely, if the semantic change from “commercialization” to” product development” will substantially change the organization’s ability to attract biotech companies from out-of-state and fund in-state biotech startups. 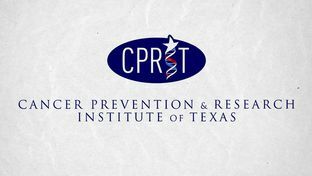 As the dialogue between our publication and CPRIT continues, we will continue to update the CPRIT story accordingly.